Congratulations to G2006 (Thorsen) for winning the Villa Parke spring league. 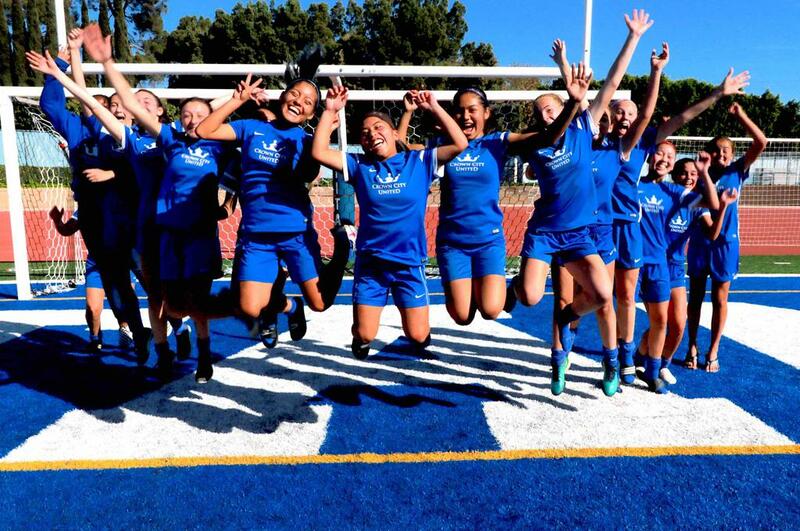 The girls beat Crescenta Valley 2-1 in overtime. Sienna Jurgensen netted the game winner completing her brace. The team went 11-1 on the season scoring 32 goals and only conceding 2. Well done girls!! 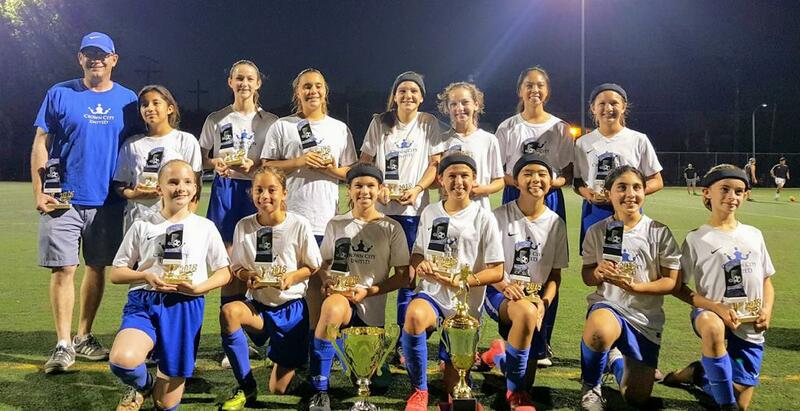 Congratulations to G2002 White (Thorsen) on winning the Surf City Cup 2018. The girls edged The Pateadores in penalty kicks 4-3 after finishing in a 1-1 draw at full time. Andrea Zarazua of CCU blocked two spot kicks. The team went 4-0 on the weekend scoring 10 goals and conceding only 3. 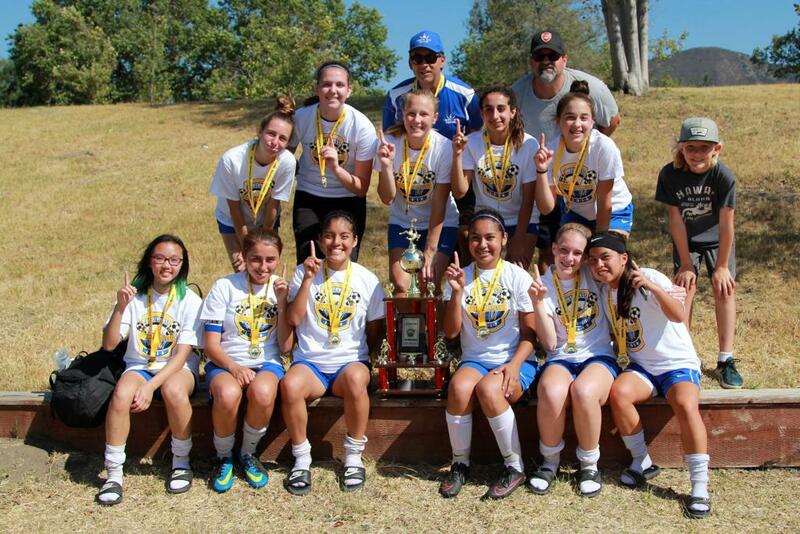 Despite brutal heat and tough opponents, CCU Team Mitrof (Girls 2002) won the SWSC Summer Classic this past weekend. Pictured here is the team with its championship trophy along with a shot of the team's peerless coach, James Mitrof. B2003s gathered at the end of a rainy Spring League game, after a 2-0 win, late on a Saturday afternoon. Several players tripped and hydroplaned across the SMHS turf while chasing a very slippery ball. 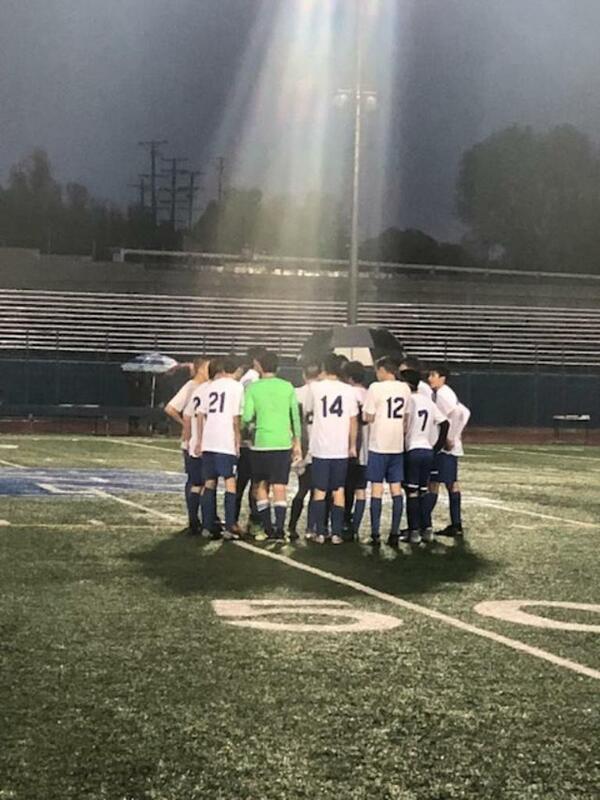 In this picture it appears the Soccer gods were showing their approval of a game well played! 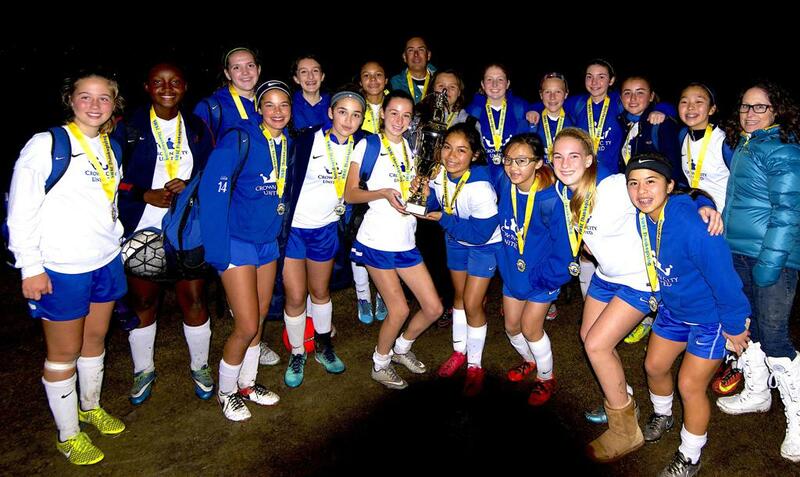 Congratulations to Coach Thorsen's Girls 2002 team for their REPEAT Championship season! They enjoyed an incredibly successful season only losing one game. They had the stingiest defense in the league only conceding 3 goals all season, but their potent offense netted 33 goals. Well done girls!! 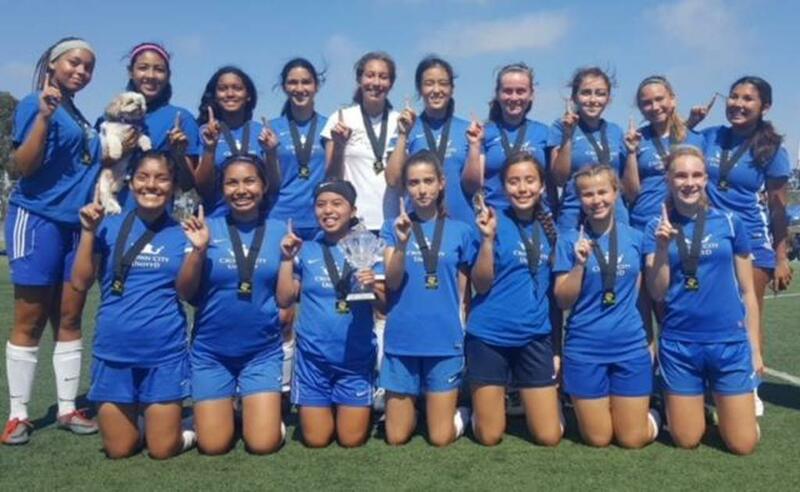 The Girls 2002 Team Mitrof clinched second place today by beating the first place team in their Silver Elite bracket. They are looking forward to moving up to Gold. The girls swept the tournament winning all 4 games. They scored 13 goals and conceded only 2. We beat Saugus 3-0 in the final. We beat CV 3-0, Fusion 2-1, and Valley Utd 5-1. It took PKs but they got it done!!! 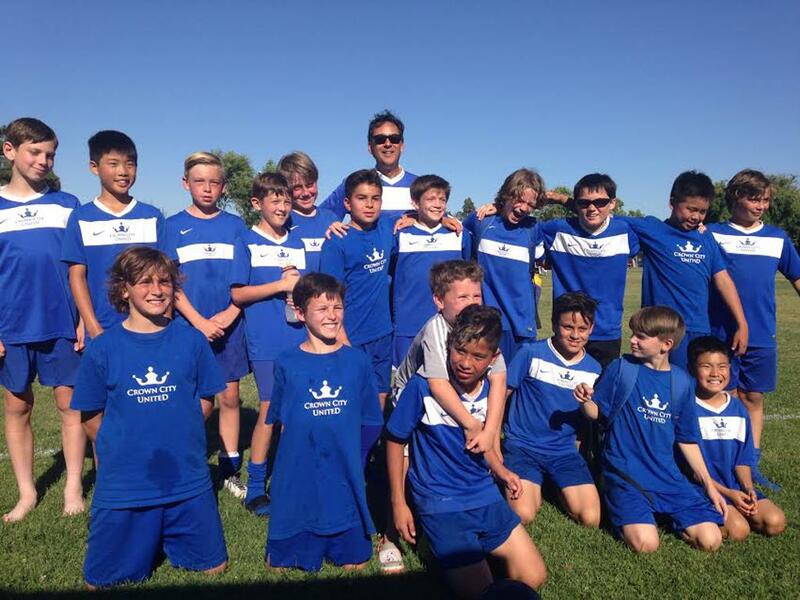 The B2005s had a GREAT May weekend at the Long Beach Tournament. They never gave up. Early Sunday their semi-final game came down to the final minute where their opponent scored. Game ended 1-1 and time for PKs. CCU wins the PKs and the semi-final game 5-3. So, it’s on to the late afternoon FINAL, with record heat in Long Beach. CCU is up 3-2 with a minute to go. We are beat from the earlier game/PKs and the heat. The other team scores. The game ends in a tie and 2 ten-minute overtime periods are next up. The opponent scores twice early in the second period. Time is ticking away. With four minutes to go CCU scores. Still down one. Final minute. Free kick called for CCU. Team Captain takes shot from just about sideline 10 yards down from the goal. The long strong kick drifts to the far back corner of the net and the game is tied! PKs again. 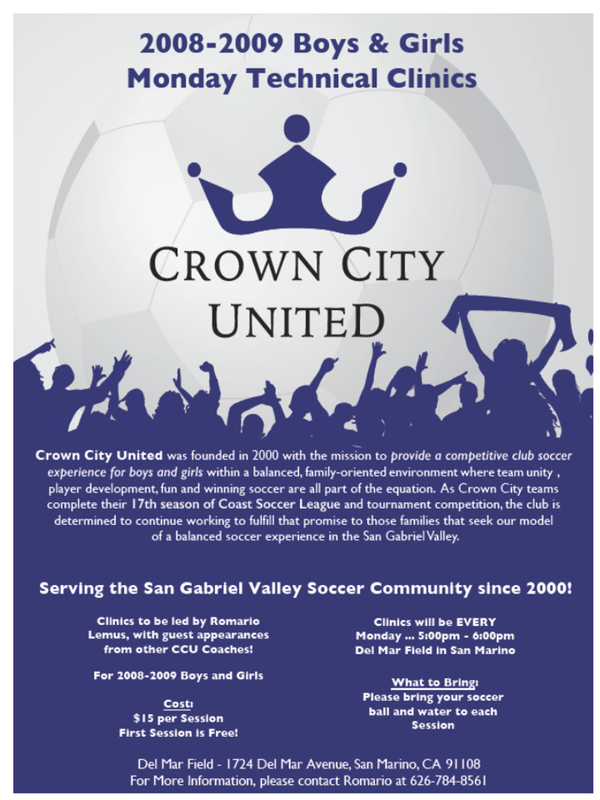 Any soccer parent knows PKs are really tense…but this is the second round of PKs that day. Here’s final game, PK time. Our mascot (Landon) and BIG brothers (Cougar, Gavin and Seb, who just won their B2003 tournament) took the field with them to cheer them on too. It was a great day for CCU. Life is short, but these guys make EVERY minute count. 10-minute overtimes the score was still tied at 1-1. CCU B2003s won the tournament on penalty kicks, 5-3. 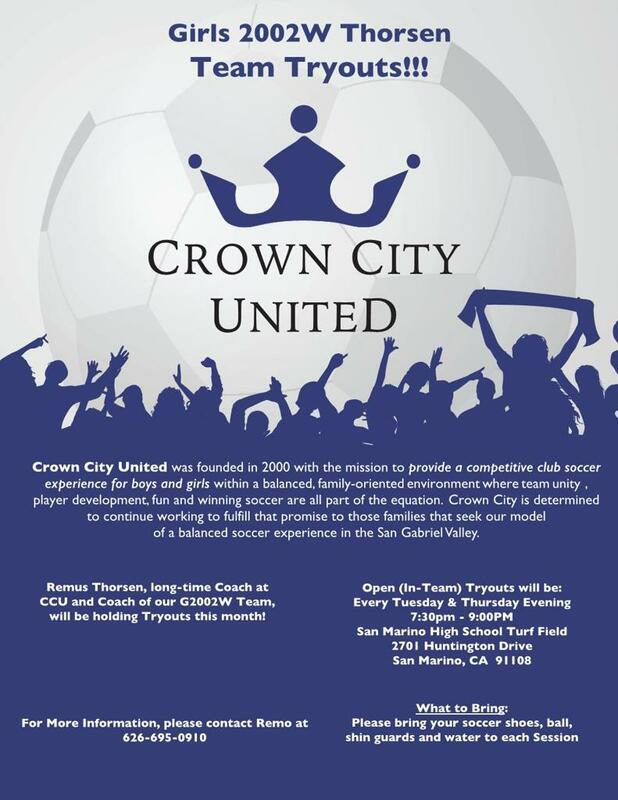 Congratulations to the team and Coach Romario! Congratulations to the 2003 team and Coach Jaime for a 1st place finish in their group at the Legends College Showcase. Manager Jody Savin (828) 824-4810. 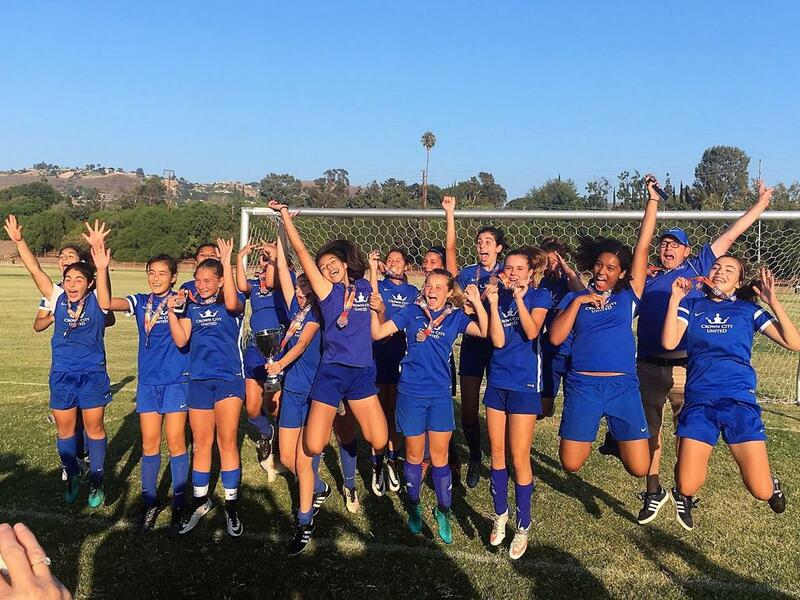 On Sunday April 2, 2017, in Temecula California, Coaches James Mitrof and Steve DiFronzo led their 2002 Girls Team to victory in the State Cup Round Of 8. Congratulation to Coach Rob and his team for a great tournament. 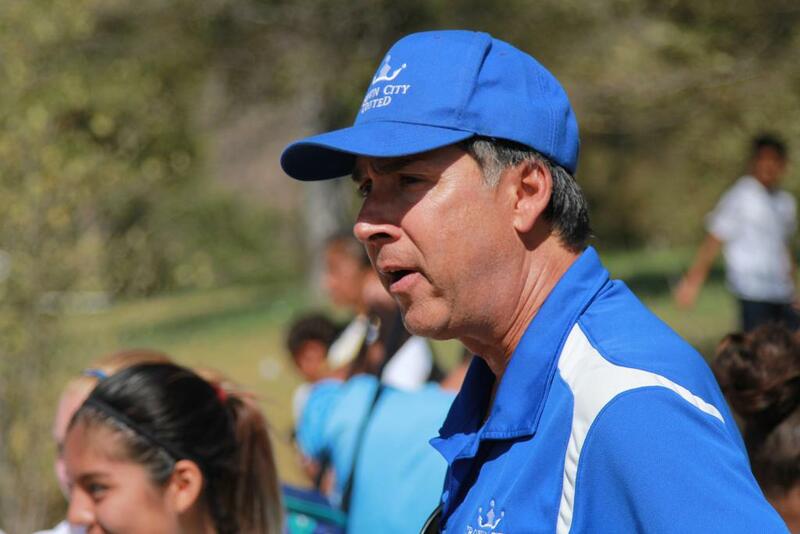 The team won all four games competing with Surf Teams from Anaheim, Inland Empire and San Diego. Great effort and team work. 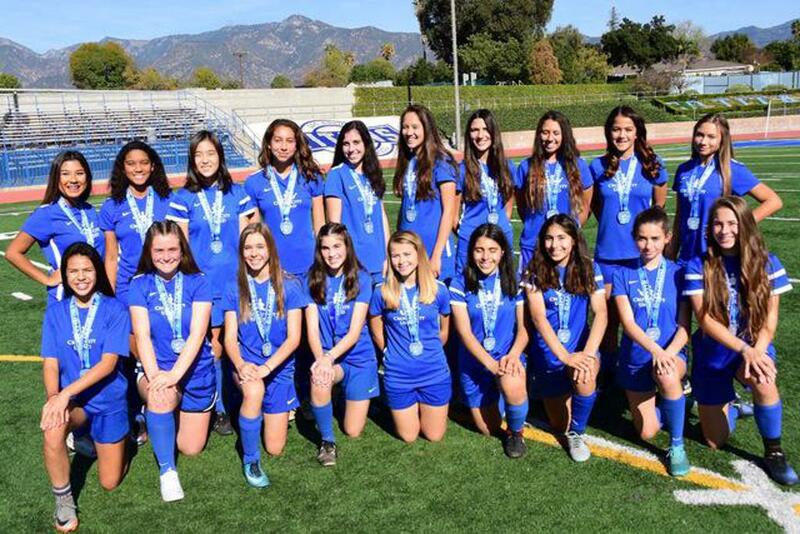 Congratulation to Coach Thorsen and the 2002 Girls team for the outstanding job during this CSL Season, great team work. A special thank you to Asst. Coach Zall and Manager Bailey. 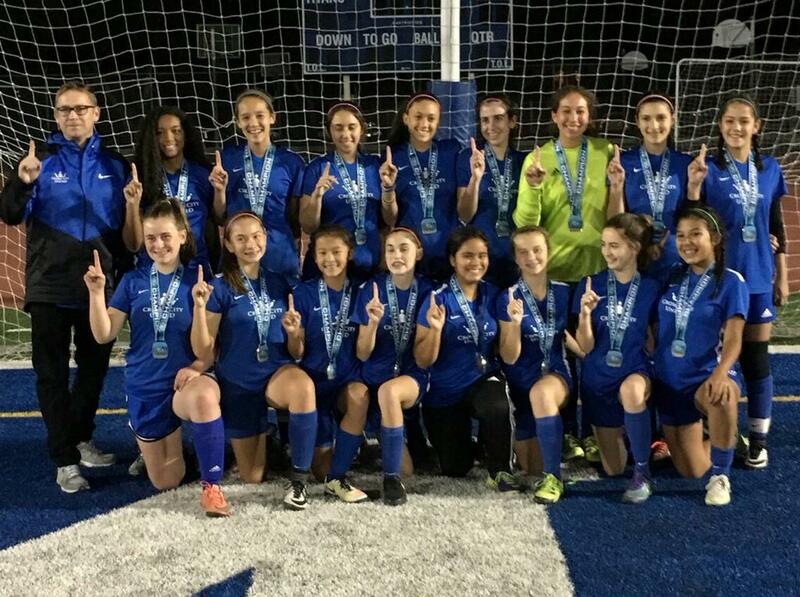 G2002 White - Bronze Central Champions. Congratulations to our 2003 team for finishing first in their group at the Albion Showcase tournament over the Thanksgiving weekend. Well done ladies! 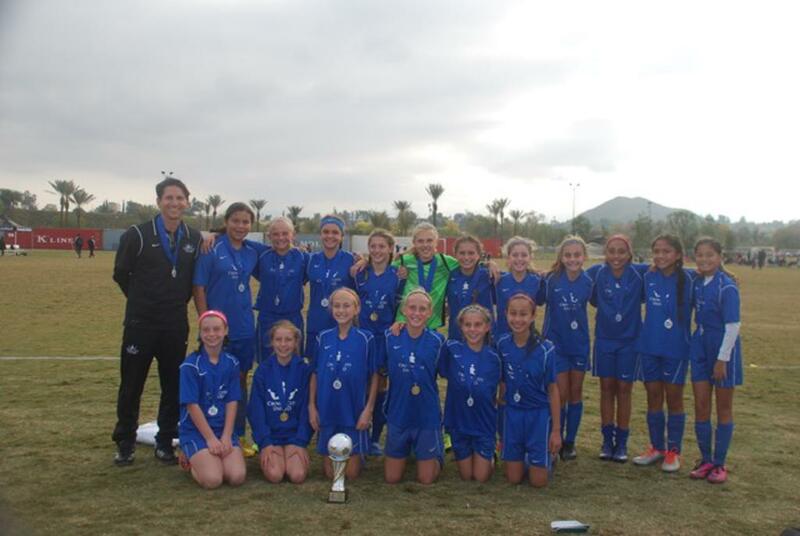 CCU G02 won every game and the final of the SWSC tournament in Temecula to take home the trophy! 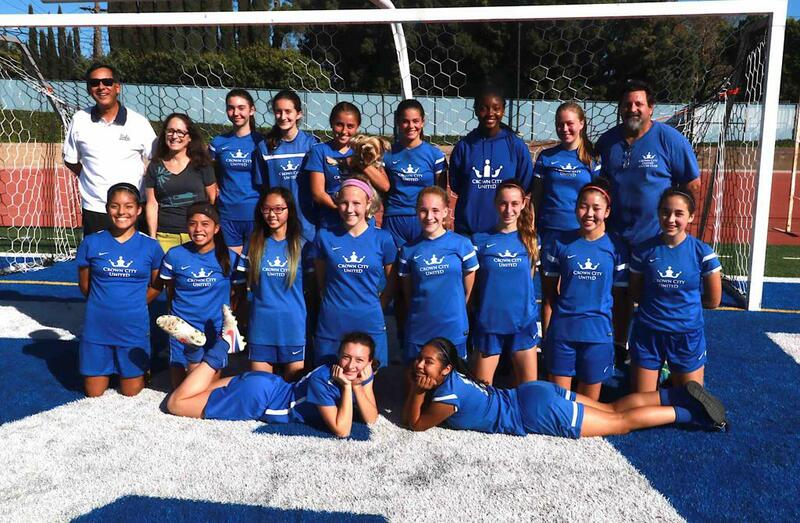 All 18 G02 players participated and the team made 18 goals in 5 games over two days. 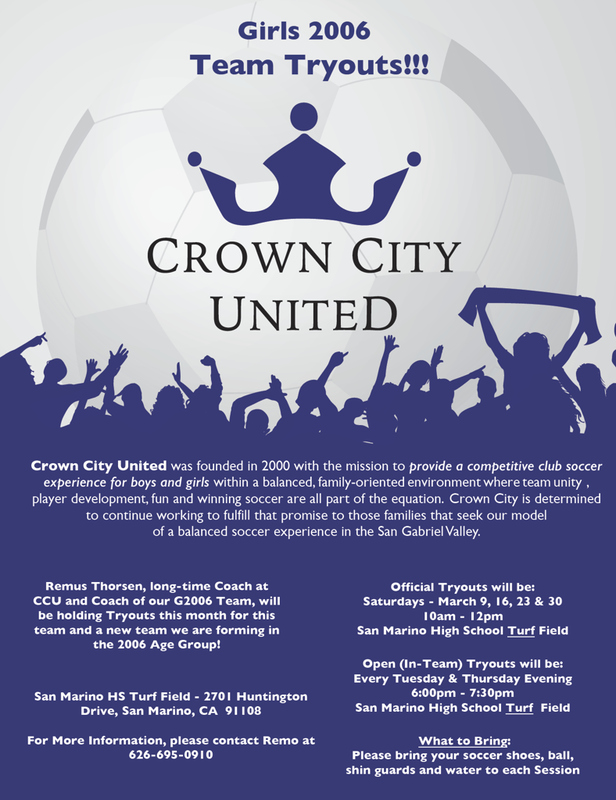 Kudos to CCU's intrepid Coach James Mitrof who led his players to victory in rain, wind, cold, mud and even, for the final championship game, in the dark! Go CCU! 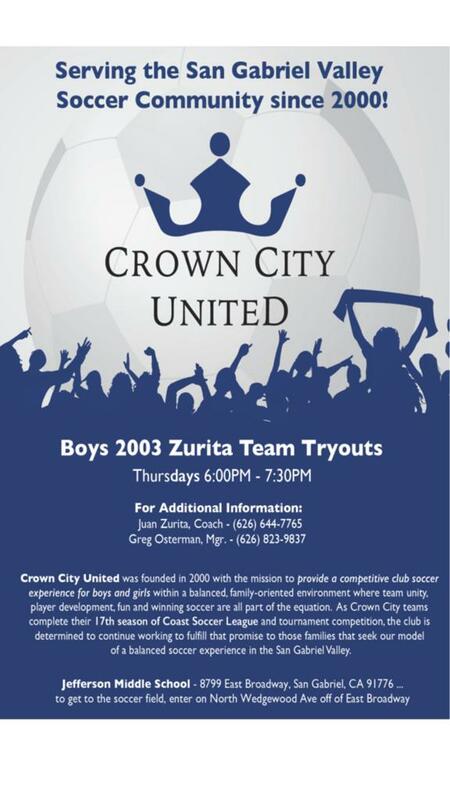 Congratulation to Coach Zurita and the Boys 2003 for the amazing accomplishment. 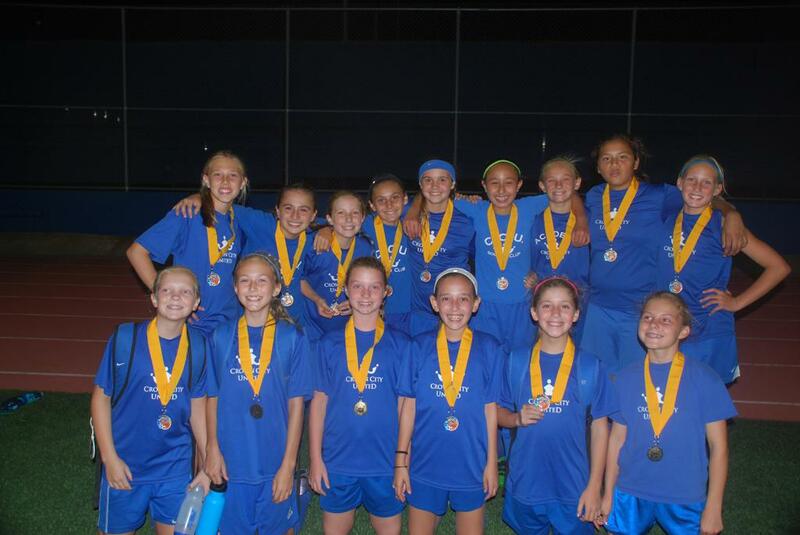 Congratulations to Coach Gallo and the 2005 Girl's Team. 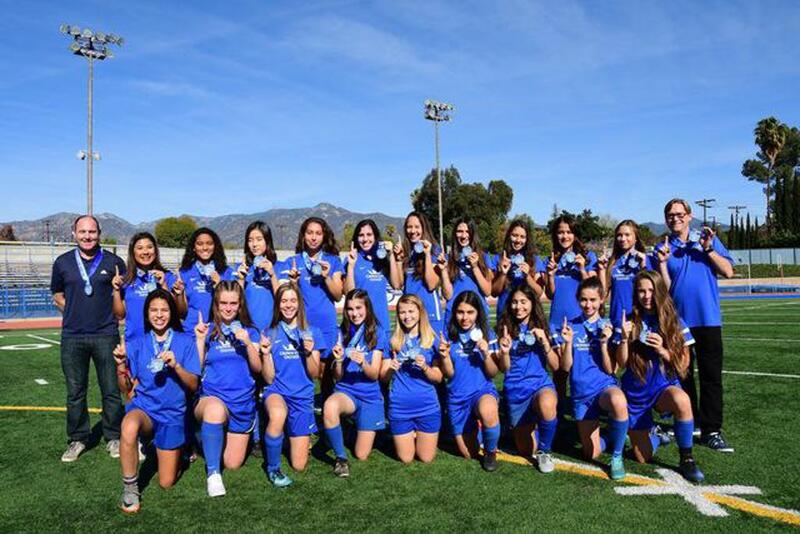 The Girls scored 12 goals and held 225 minutes of shut out play.